The Magic Kingdom will be 45 years old on Saturday October 1st. 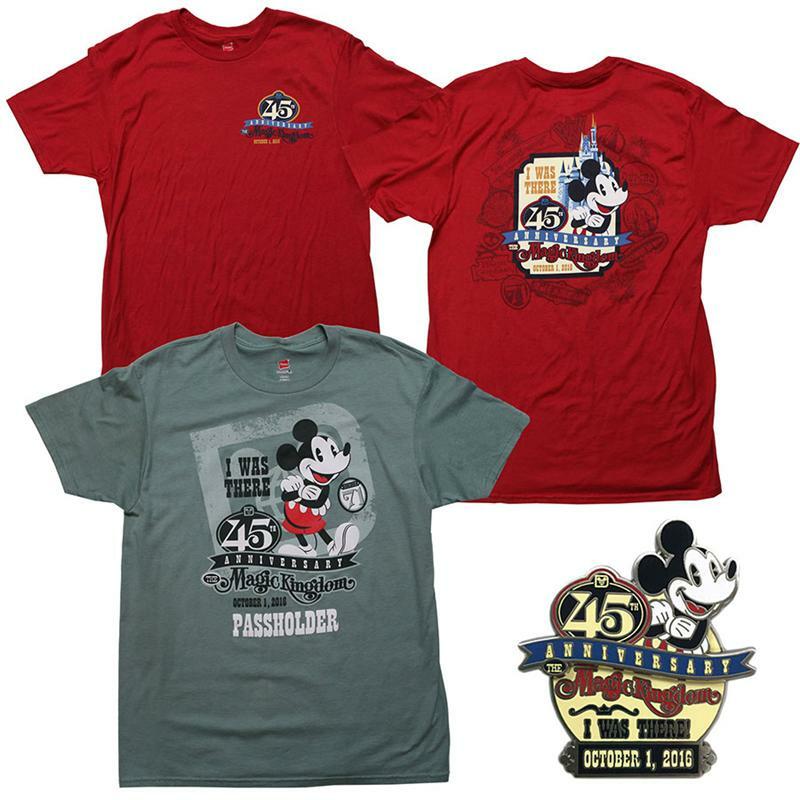 Disney will be marking the occasion with limited edition merchandise and a special presentation on the castle stage. The special castle presentation will begin at 9:30 AM on October 1st with guest speakers, characters, and musical performances. Disney has not disclosed who will speak nor which characters will appear. As for merchandise, there will be a limited edition T-Shirt and Pin, available at the Emporium. Specially themed treats will be available at the Main Street Bakery and Gaston’s Tavern. Is the special merchandise for sale for a year? I can only assume so…or at least for more than the date of the anniversary because no “limited time” was mentioned.